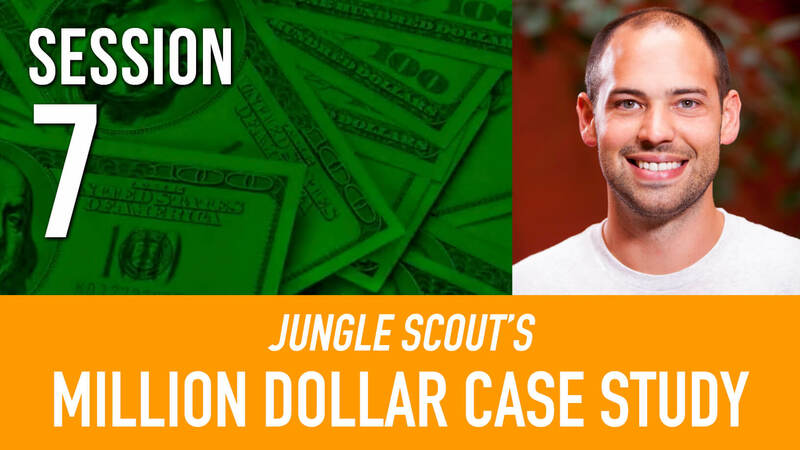 Now this is where the rubber meets the road in the Million Dollar Case Study. The deposit has been placed, and the wheels are in motion for the Jungle Scout baby towels! It will be 30 days for the production run to be complete of the initial 500 units. How will we market these towels, to stand out from the existing competitors on the market? That is exactly the topic of Session #7 of the Case Study—branding and package design. But first, what is the name of the brand? It is still to be determined, so please drop some suggestions in the comments section below! The most important part of the packaging is to figure out what the requirements are, and adhere to those. That refers to both governmental or regulatory requirements, as well as Amazon requirements. The first step is to get an idea of what your factory normally uses for its packaging. This is the most straightforward and foolproof way to figure out your basic packaging. As an Amazon seller, you can afford to not get too picky with the packaging. Instead use their standard packaging, as it minimizes the likelihood of mistakes or increases in cost. For our baby towels, Greg opted for a box to package the product, as it conveys more “high-end” look and feel than a shrink wrap or poly bag. If you still have questions that your supplier can’t answer directly, you can also ask an inspection company (like www.asiainspection.com) for their insights, as they have likely dealt with a similar situation. Amazon has tons of detail for their Inventory Requirements on this page. This is a great resource to help you navigate through the requirements for labeling, packaging, and getting your inventory delivered without a hitch to Amazon’s distribution centers. Greg is a big proponent of simply printing the FNSKU onto your product packaging. Let’s back up a second. What does these codes mean, and what do they look like? EAN – The European Article Number, pretty much the same in function and appearance as the UPC code (except the EAN has 13 digits, instead of 12). Greg prefers printing an FNSKU on the packaging as opposed to simply a UPC barcode (a universal barcode that can be read at any retailer, Walmart, Target, etc). Ultimately, as we are starting out by focusing on Amazon as a main sales channel, it is easiest to create a packaging that makes it easiest to ship and fulfill from Amazon. This means just printing the FNSKU on the package. If you just use the manufacturer barcode (particularly relevant for wholesale sellers or retail arbitrage sellers, who are selling the same exact product as other sellers), then your inventory is identified and tracked using the same barcode as the other sellers. Though Amazon says that it tracks which seller sent in which product, it can lead to potential headaches for you as a seller. Bottom line: don’t do stickerless commingled inventory. Instead, just print the FNSKU directly onto the packaging! So how do you get your FNSKU? Let’s dig into this now, or you could also watch a quick 5 minute tutorial that Greg put together. 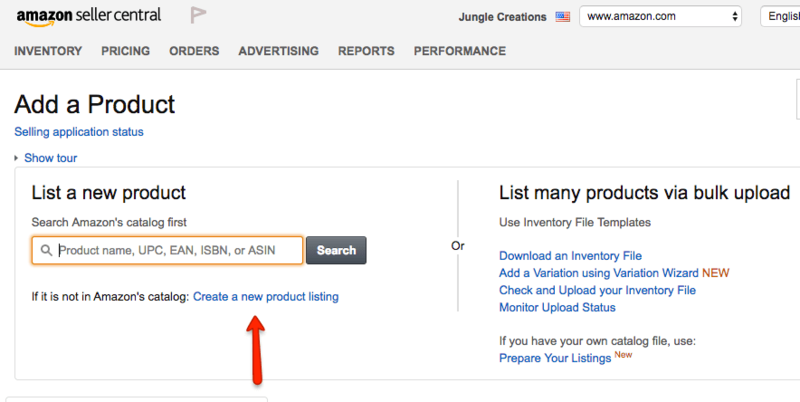 The first step is that you will need an EAN or UPC code to create a listing in Amazon. You can get a UPC code for a nominal fee at speedybarcodes.com. There is a small snag by purchasing your UPC code from a reseller like Speedy Barcodes: Amazon requires that each UPC code is registered under the seller’s brand. However, if you buy a UPC from Speedy Barcodes, your UPC is going to be registered under “Speedy Barcodes”. The simple solution is to simply register the brand with Amazon, and change your unique identifier to a specific model number (doesn’t have to be anything fancy, just “Hooded Towel 1” would work). Once you do this, the UPC is no longer associated with the product, but instead the model number is associated with the product. Follow these simple steps to set up your new product in Seller Central and find your FNSKU so that you can pass this on to your designer. Simple as that. You can send this to your supplier and designer, and ensure that your packaging is correctly labelled for the Amazon fulfillment centre. 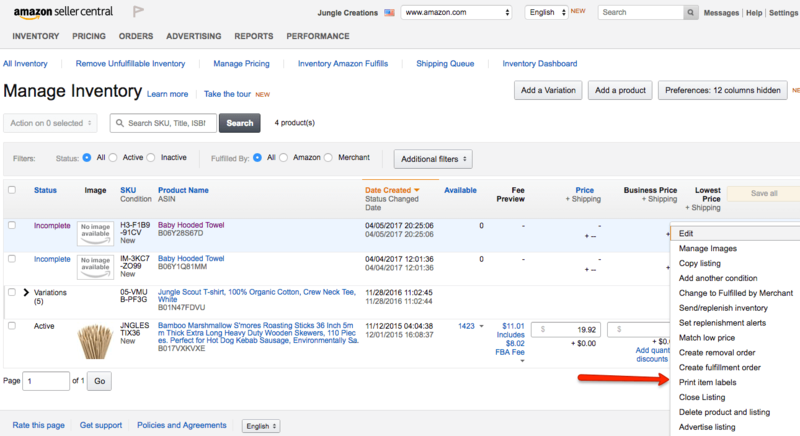 Note: that if you do not include your barcode and FNSKU, you will have to pay an additional $0.30 per unit to have Amazon apply this to your products. 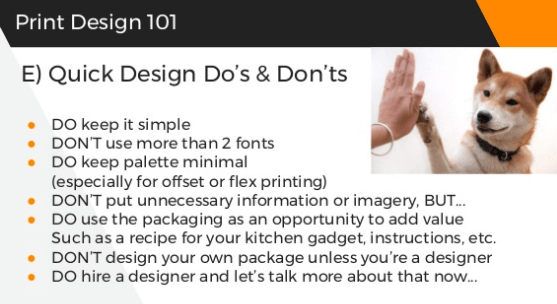 If you have 1000 units being shipped, that would be an avoidable $300 spent on something that can be addressed in your package design. So let’s get into the fun part – the actual design! We have an experienced designer on the Jungle Scout team, Adam, who started his career in print design, before moving on to digital products. Adam kicks things off by explaining a few terms that you need to get to grips with. Resolution refers to the sharpness and richness of an image. It is generally described in Dots Per Inch, or dpi. You want to aim for 300 dpi, which is the standard these days. If you go to say 75 dpi, you are likely going to have a pixelated image as a result. Bleed allows you to design all the way to the edge of a page. Generally, you want to allow a bit of space, or “bleed”, in the printing process so that after printing, you can trim down your image to the appropriate size. Ultimately, you want to allow for some of the outer image to get trimmed away. For laymen, there are two types of color: Digital, which is basically four colors (CMYK, or cyan, magenta, yellow and key, or black) which can be mixed together to create new colors. Or Offset and Flexographic, which are individual colors that are stamped on to a box. Digital is cheaper, and can get most colors you would want. Flexographic and Offset are good for high volume printing, and can meet a higher quality, which of course costs more. One key point that Adam makes is that it is usually faster and more effective to pay a professional to design your packaging. So although you don’t need to learn how to become a designer, it’s important to know how to communicate with designers and breif them. It also helps to develop an eye for what is a good design and be able to give any critical revisions back to your designer. So where do you actually find the designers to create your packaging design? Adam recommends 99 Designs—a marketplace to find designers at an affordable price and easy sourcing. 99 Designs is very simple to use: create the specifications of the project that you want to be completed, give some guidelines of what you are looking for, and a bunch of designers will create designs for you. You only pay for the design that you like. You can save on time and costs by sticking to these steps and ensuring the manufacturer ends up with a design they can work with. That wraps up our session on Branding and Package Design. In our next session, we have freight expert Philip von Mecklenburg-Blumenthal, Senior Director at Freightos, explain everything you need to know about shipping your Amazon product. Philip is not only an expert on freight, but has a focus on FBA sellers. This will be an essential session in figuring out how you will import your product in the fastest and most cost-effective way possible. Get the catch-up, video and slides here! If you are catching up on the case study and want to get reminders about upcoming sessions, simply register here! Let us know any thoughts and comments below. if you print the FNSKU directly on the packaging you are supposed to also fill in the item description & condition. In your guide, you are suggesting that only the FNSKU is necessary. Are you sure that printing the FNSKU only will nod cause problems down the road? The products I have been researching have good reviews. People are happy with the product but the problem throughout all the different product reviews is that some of the items arrived damaged. This seems to be the recurring problem with this product. Do you know of anything that can be done with packaging, besides bubble wrapping the heck out of it, that has helped in the past? The product generally has a plastic wrapping and is then put inside a cardboard box. It looks like this is the main pain point that I can try to fix with this product and wanted to know if you guys had had any similar experiences or some advice. You might request that you vendors use stronger boxes with interior boxes. Of course, you can also write off the damaged goods on your taxes. Finally, I’ve also ordered extra boxes in the past and repackaged everything by hand to account for damaged products. You might try the same. You have done a very fascinating work by explaining packaging in such a beautiful way. Your article is really inspiring. Thank you very much. God bless. 1) In the video you are telling that when printing the labels it’s enough to leave the very barcode, but in the Amz requirements I can see that it also requires to have the product name and the condition specifications (i.e. new). Do they have some updates and now it’s really what requires? 2) My product is set (3-5 pieces in one package). I’ve read in some places that besides placing the parcode on the box an FBA seller also needs to place the same barcode over the bubble wrap of the very product (in my case all the products in set). Is this true or I can place the barcode only on the box? Thanks for the details. Appreciate it. I have a question on UPC code from speedybarcodes.com. In the video below, it says Amazon can put your listing in a different category depending on UPC code and suggest to buy UPC code from GS1 database. However, you mentioned it is ok to buy from speedybarcodes.com to fetch the FNSKU. Please advice. I want to know if in present I can still get a bar code from speedybarcodes.com and not expensive ones from gs1, and apply the same method as Greg to get the FSNKU. We have a product, now we chosen our supplier, and I want to send them the package design, but when I will try to create the FSNKU, I want to make sure I do it in amazon terms. Hi! Thank you so much for the amazing wealth of information. I have a question/clarification regarding obtaining a UPC/GTIN barcodes from GS1. I am just starting out, going the private label route, and so I do not want to apply for Trademark and Brand Registry off the bat. I do however want to comply with Amazon TOS and get a GS1 barcode to avoid the associated risk with using a third party. I have been researching on the GS1 website, and it looks to me like the cost is $250 + $50/yr for a GS1 company prefix that includes up to 10 barcodes. Then, the GS1 Data Hub/Product Create subscription is free for one member, and allows you to create barcodes using your GS1 company prefix. So I would buy the GS1 company prefix and then be able to generate up to 10 unique barcodes? Am I understanding this process correctly? Also, does Amazon require one GS1 company prefix to create an FNSKU ($250 for one FNSKU barcode)? Or can I buy a GS1 company prefix, and with that generate 10 FNSKUs ($250 for 10 FNSKUs across 10 different Amazon products)? Below are the links to the pages with the information from GS1 for reference. I am new to retail in general, and would like to understand the process before I drop a lot of cash, so any insights would be hugely helpful. Thank you! Sounds like you got the fundamentals right there! You absolutely do not need a trademark or brand registry to launch. You do need a GTIN or UPC barcode. If you pay $250 for 10 barcodes, then that means you would be able to create 10 products inside Amazon seller central. Each product would generate it’s own FNSKU barcode. You should be able to use the same company prefix, so if you sign up with GS1 for 10 barcodes you are all set for 10 products. Hope this helps and good luck with your selling journey! Just a bit confused about unique identifier/ model number that Amazon uses. In the video, Greg says – ‘at a later point after brand registration, we can ask Amazon to change the model number to something like Baby Towel1’. Now, given the new requirement of trademark registration before brand registration with Amazon, I was considering not registring the brand first time launching a product. But, does that mean, now I can’t ask Amazon to change my unique identifier from UPC to something I want? If this is the case, is there any workaround, because I don’t want to apply for trademark first time I am launching a product. Many thanks. Thank you for this great resource. 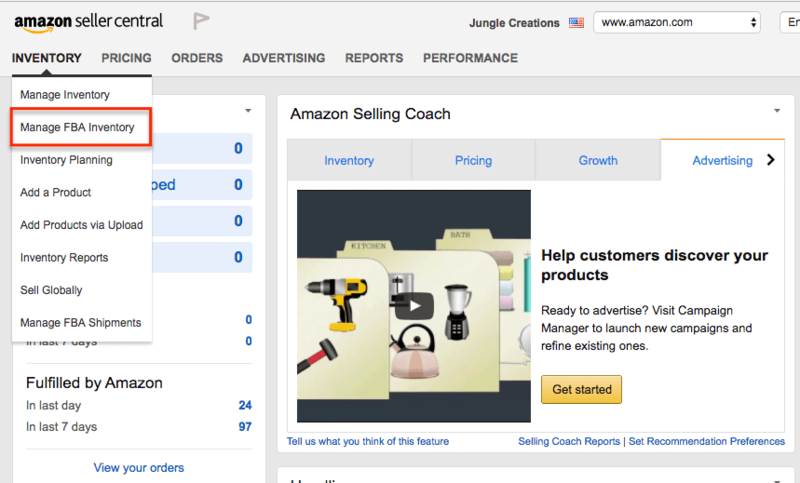 I am setting up my first product for Amazon FBA. We are doing a private label product, however aren’t applying for Amazon Brand Registry yet. In regards to purchasing recycled UPC codes from someone like speedy barcodes.com to create a new product listing and get a FNSKU number. Can we still change the UPC code to the model number as the unique identifier if we aren’t in Amazon Brand Registry or do we have to be accepted to Amazon Brand Registry for this to work? Glad you’re finding the MDCS to be a helpful resource! In this case, swapping out the UPC code for a model number is a perk of the Amazon Brand Registry and you won’t be able to change that unless you are registered. I have a problem about UPC codes. As mentioned above, you advise this process for a simple solution. Unfortunately; this process is not as simple as mentioned. To register brand with amazon, you need a registered trademark. To have a registered trademark, you need apply to US patent office. And it takes a long time to register your brand. I have chosen the best supplier for my private label product and will order soon. But I can not go through product listing because of this UPC problem, so can’t make a shipment plan. Is there any real simple way to walk around it? You can always reach out to other sellers in similar positions in our Facebook Community. Thanks for the explanations, super useful. I’m a little confused with codes though (planning to sell in the UK). How many codes do I need for my PL? I know I need the FNSKU on the outer of the package obtained from Amazon Seller Central dashboard. I also know that I need an EAN preferably from GS1uk. What about GTIN and ASIN? Where do all the latter three (EAN, GTIN, ASIN) go? To sell in the UK you will need an EAN barcode. UPC is the American version of an EAN. GTIN is a generic term which stands for Global Trade Item Number (an EAN *is* a GTIN). The FNSKU is Amazon’s own proprietary barcode that they use in the Amazon distribution centers. To get an FNSKU, you have to create a listing. 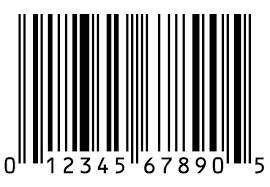 To create a listing, you have to supply a legitimate barcode (GTIN: EAN, UPC or ISBN). The only exceptions to this are if you have an exemption, which is rare. I would advise to go with a GS1 EAN for the UK marketplace and to avoid third party repurposed barcodes all together. In my experience the UK marketplace won’t accept a third party one at all now. Thanks Kym, me again. I’m trying to understand the bar-coding thing. Secondary Product B: MOQ is 1500. The initial plan is to bundle the secondary products A and B with the entire quantity of the primary product. That leaves me with 250 units of secondary product A and 500 units of secondary products B. 1. Should every item in the bundle has a separate FNSKU? What about GTINs for bundled products? Separate GTIN for each product in the bundle? Or I need one of each bar codes only (one GTIN and one FNSKU)? 2. I want to setup new listings and sell the remaining quantities of the secondary products A and B separately. Would you do that? If that’s the case, do I setup a 2 barcodes for each product so it becomes easier to sell individually or in a bundle? Given the above example, how would go about barcoding the products? I could be wrong here, but I think you need to send any bundled products into Amazon as a bundle (i.e. packaged that way) and each bundle then becomes it’s own product, with it’s own barcode and it’s own listing. I am pretty sure Amazon won’t bundle these items for you. But you might be able to set up bundle style “offers”… like giving the customer the choice to get a percentage off for anyone that orders multiple items (Primary + product A, Primary + Product B). In this instance, then yes every single item would need it’s very own barcode and listing. Ultimately, if you are bundling to increase value, prevent hijackers and stand out from the competition, then I would suggest going with the first option and having your supplier package your items as bundles and sell those under a single FNSKU. Regarding the packaging of the product: if I would like a special design for the package like the one for Jungle Snugs, what are the chances that the supplier can provide something like that? If I should do it myself, I don’t think I would be able to do it, because I don’t live in US, so the shipping from China to my country and then to US would be too expensive. In other words, I would like a really nice design like yours (I do not have a product yet), but I don’t know if the supplier can do that, but also because of the costs I can’t have them shipped to my country. What would you advise? The way we always do this is to design the packaging ourselves, and then send the designs to the supplier who prints and labels accordingly. I would not advise asking your supplier to do the design as they don’t tend to produce the best work. Rather, it’s best to design it yourself, or hire a designer. What you should do before you start this is to speak with your supplier to find out what packaging capabilities they actually have. Ask them what their other clients usually use for packaging for similar products, and what materials they are able to work with and print on. This will prevent you from designing something they can’t really work with. 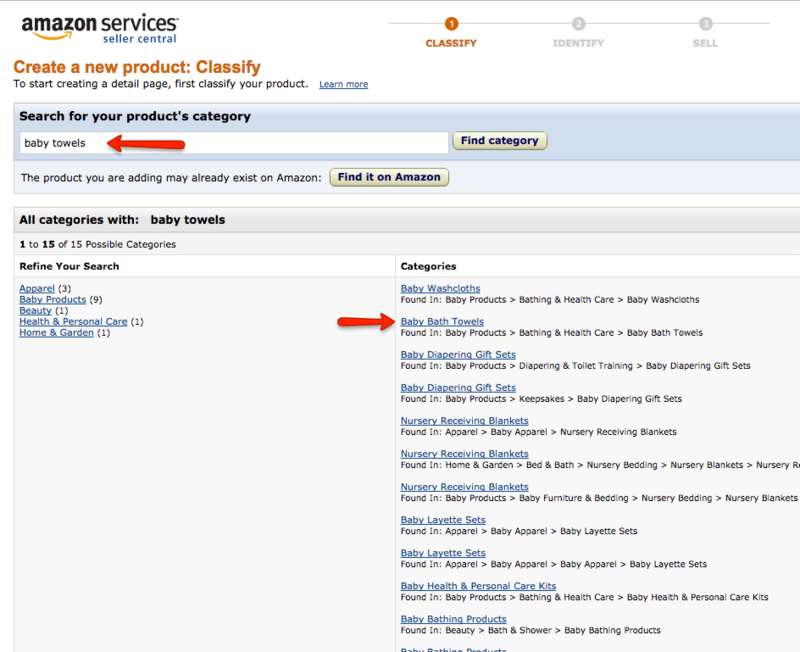 Does Amazon now require Product name and condition on FNSKUs? Or does this guideline go unenforced? I saw this too – I believe we have launched all other products with just the FNSKU barcode and alphanumeric code, as the product name is always on the label too anyway. As for item condition, this is probably more for those selling arbitrage perhaps. Either way, I wouldn’t feel the need to state that my private label product is new on the label itself. We’ve never had any issues doing it this way. Let us know how you get on! a year passed and I was wondering if this is still the case. Amazon’s guidelines clearly state that the information required on the label has to include FNSKU + Alphanumeric Code + Description + Condition. But I totally agree with you that the condition is always new and the description is clearly visible on the packaging. I think the FNSKU only looks much more professional. Have you heard or had any issues printing only the code on the box in the past year? I have about 1500 products (2 skus) sitting on a boat right now coming from China. I have had UPC codes purchased from speedybarcodes.com printed on the boxes. When trying to create the listing on October 28, I got a message form Amazon saying that I must verify that the UPC’s are registered to my business name. If they aren’t I can have my product creation privileges suspended.” Question: Is there any other avenue to pursue besides purchasing GS1 barcodes and relabeling the entire stock? I haven’t heard of anyone being asked to prove their UPC is registered until just recently, so I am wondering if Amazon are starting to crack down on this now. They did make it part of the TOS well over a year ago that you should have a legitimate GS1 barcode, but it has never been enforced before. One hack is to remove your brand name in the “vital information” section when creating the SKU in seller central. You could try this by using another UPC and starting over with your product listing, but at this point that would be more risky and may result in getting your account suspended. So that’s a risk you need to be prepared for. The best option at this point would obviously be to invest in a GS1 UPC code to use. Finally, you actually don’t need to print the UPC anywhere on the product or boxes, the only product barcode you need to put on there is the Amazon FNSKU (which you need a UPC to create). If your shipment is already on the sea, then I would advise that you need to speak with your freight forwarder about relabelling the products with the FNSKU when you get one. You can have Amazon do this too, but obviously this will incur a cost. Hi I just read your article regarding Brand, UPC, etc…and I am more confuse now that I was yesterday. I want to start as an international seller and dont know if I need to register my brand in the USA or how does it works?. I read something regarding register it in Europe? but I am from LATAM… makes no sense. Additionally after the brand is registered, I still need to get UPC numbers for my product right?. GS1 charges you an annual fee, which is absurd for a single seller (not a company) and third party UPCs, as I understood, are not allowed or is at “your own risk”, which I dont like really… so basically now I dont know even i I should even try to sell in Amazon… as an international seller, really dont know if it worth the risk. If you are looking to sell only in the US then you would probably be better registering a trademark in the US, so that you can enter brand registry in the US. The only reason you may register a trademark in Europe is because this would allow you to apply for Brand Registry in European marketplaces, as well as the US. So that really comes down to which marketplaces you want to sell your products now and in the future. You cannot enter brand registry until you have a registered trademark, which usually takes a few months to process. It’s also not a requirement by any means to enter BR, but it’s advisable if you want to build a business on Amazon. Therefore most sellers will launch a product without BR to begin generating sales, in which case you would need a UPC barcode for Amazon.com. GS1 is a more expensive option, and you are right that third party trademarks are technically not allowed, but pretty much every seller I know uses them still. So it is your decision, but it’s nothing thousands of other international sellers aren’t already doing. Additionally, once you get a trademark and enter brand registry, you can contact seller support and change your UPC attribute. Or if you do not launch until you are accepted into Brand Registry, then you don’t need to use a UPC at all. Here’s a useful post about Brand Registry which should help clear up any questions. now we know how to do FNSKU for each unit/box. if we have case, and each case will have 10 units. how we create FNSKU for each case, and pallet? So you have your FNSKU and arranged for this to be printed or stuck on to each item on the packaging? Great. For your cartons you will need some separate labels, which you can get by creating a shipment plan on Amazon Seller Central. Once you create this, Amazon will give you the labels for your cartons. For a full run down of how to do your shipment plan, head to Session #10 of our Million Dollar Case Study Europe. Greg walks through the whole process. Thanks for the article. I do want to double confirm the matter of the FNSKU directly placed onto our product label. 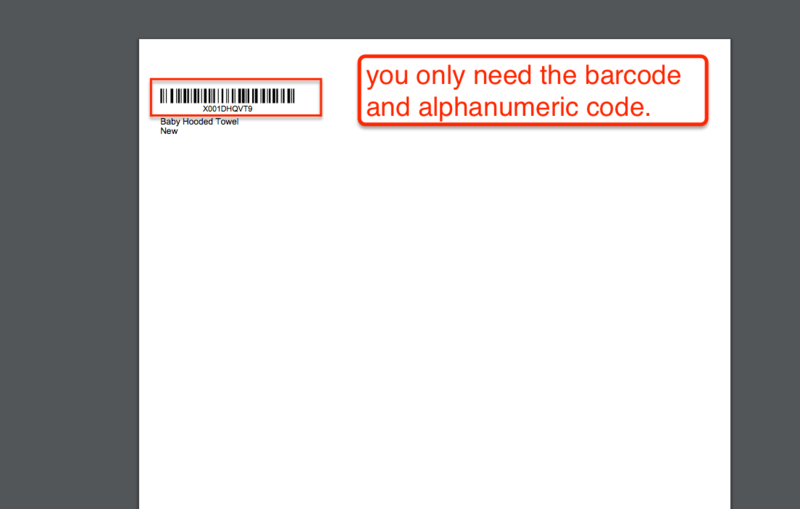 I can’t find information anywhere that says it is okay to just use the barcode and alphanumeric code. I’m finding (though conflicting info) that the text beneath the barcode and alphanumeric code is required. Can you point me in the direction as to where it says this and if anyone has had success using just barcode and alphanumeric code? Also, is there a size requirement I need to follow? You can leave the text in if you like, but we have removed it for all of our case study products and had no problems, with just the alphanumeric code. There are some requirements with regards to placement and covering up any other existing barcodes which you can find on this Amazon help page. I would like to know more about Brand Registry in Amazon? Is it necessary to have registered Trademark for registering in Brand registry? Is there any video light more information on this? Thank you so much for the reply! Glad to hear a sticker will be sufficient, I was super nervous about an uocharhe for not adhereing to amazons tos. Thanks again! You guys are changing lives and it’s amazing! Brings a tear to my eye. Haha! Cheers! For sure, but don’t cry, Robert! just keep doing your thing and report back on your success! I’ve got a bit of a strange question. I’ve just found my first product and my question is in regards to the packaging requirements. My product is going to be in a poly bag so it will need the suffocation warning, however, the supplier won’t print on the bag… what would you recommend? A sticker? I don’t even know what else… also the same question would apply for the fnsku, country of origin, and brand name. Any help is greatly appreciated! Thank you all so much the jungle scout product are incredible!!! A sticker for the suffocation warning would suffice, as long as it is included the manner in which you attach it does not really matter. for FNSKU, using a label or printing directly on the box works (we printed it on the box). but as you are using a poly bag, you will likely need a sticker for everything. hope this helps! – Buy UPCs for every shoe style & color? – Buy 1 UPC for the product ‘shoes’? – Should I use 1 FNSKU for all shoes (regardless of model or color)? Or do every shoe model & color need its own FNSKU? – You will need a GTIN (UPC, barcode) for each individual variant of your product. That includes sizes, colors etc. – You will also need to put a unique FNSKU on each individual variant (on the packaging) for the Amazon warehouse. Is it ok to do what you have written on article (new amazon brand registry)? So I will have 1 trademark like “Ikat shoes” – 1 UPC, therefore 1 FNSKU. Then on seller central I can list the different shoe models as model1, model2 etc, all of them with the same FNSKU. Will this work? or am I totally lost. Yes you need 5 different UPC codes for each variant of your product. GS1 is the more expensive route, but you can also buy UPC codes from third parties. It’s not technically within Amazon’s rules to do so, but many sellers do it without any issue, so it’s up to you if you want to take that risk. Amazon Brand Registry is something that you won’t be able to apply for until you get a registered trademark (pending applications will not be accepted). Therefore, you will definitely still need 5 UPC codes to get your shoes up on Amazon right now, as trademarks take a few months to process, and an application also costs a few hundred dollars depending on what service you use to apply. If you do decide to get a trademark for “Ikat shoes”, when this is registered, you could enter your shoes in the Brand Registry, at which point you no longer require a UPC. I cannot thank you enough Kym! Thank you so much for all of your insight. I am just starting out and trying to learn on my feet, and you guys at JS really help more than words can say. I have a question relating to this thread. I have been researching on GS1 and it seems to me that I can buy 1-10 barcodes for the same price of $250 and $50/yr to maintain it. As someone who is just starting, 10 products within the next year or two seems like a reasonable goal for me. This may a bit more expensive than a third party, but doesn’t seem hugely expensive spread across 10 items eventually, and I am a bit nervous about taking the risk of going against Amazon TOS to use a third party. From what I understand the $250 + $50/yr buys you a GS1 company prefix, and also includes a Product Create/Manage subscription for one user for free that allows you to use your company prefix to create UPCs/GTINs. My question is, does this translate over into creating a FNSKU on Amazon? Or will Amazon only create one FNSKU per GS1 Company Prefix number? In other words, if I spend the $250, can I use that for 10 different FNSKUs on Amazon? I just want to make sure I am understanding it correctly. I will include the links here of where I found the information I am referencing on the GS1 website. Thank you so much! Sounds like you understood everything correctly here. We do actually advise sellers launching new products to go with GS1 now, instead of third parties. I have heard of examples of third party barcodes being rejected and this seems to be the best future-proof option. If you have 10 UPC codes, then you can generate 10 products (parent or child) on Amazon, and then your FNSKU will be generated. Hope that helps and good luck with your selling journey! I was curious if I planned to print the fnsku bar code directly onto my packaging does the background need to be white? I was planning to use brown packaging but I wasn’t sure if it was ok just to print black on brown. Any insights would be appreciated. Thanks. I don’t think that the background needs to be white, but simply needs to be readable by a barcode scanner. You may want to confirm this with Amazon, but I think you should be OK! I’m a bit confused about the necessity of getting a UPC code if I’m getting the FNSKU anyway. Is the UPC needed to get the FNSKU? That’s right, you need some form of GTIN (Global Trade Identification Number) which in North America would be a UPC code. In Europe, for example, it would be an EAN. You need this code in order to generate your FNSKU’s for Amazon! Just want to add here as this has been such a confusing topic with risks and with all the new rules. 2. If GTIN exemption are a good solution to this ? Any risk associated with it. Will it write a different code or the product will have no code. I wrote an article on this very topic, which you can read here! It covers the new brand registry as well as barcodes/GTIN and GTIN Exemptions! One: If I buy my UPC none GS1 for Amazon listing do I need a GTIN exemption? TwO: Is better to buy a GS1 UPC code or register a trademark? Three: Where I have to make a trademark in USA, or UK because my company was registered in the UK? 1. No if you have a UPC you do not need GTIN exemption. GTIN exemption is for when you don’t have a UPC or other barcode. Amazon changed their TOS about a year ago to state that UPC’s must be from GS1, however, many sellers have still been proceeding with UPC’s from third parties. You just need to be aware of the associated risk. 2. If you want to access the new Brand Registry you will need both a UPC and a registered Trademark. If you aren’t going to go for brand registry, or want to do this in the future, then start with a UPC. 3. You would register your trademark for the main country you are selling your item in. If you want to register for UK Brand Registry then you will need a UK or EU trademark. If you want to register for US Brand Registry then you will need a US trademark. If you want to do both then you would need to look into International Trademarks. Great questions – we actually have a blog post coming up this week to address all these questions in full so make sure you look out for it! I’m all caught up and current on the challenge videos but currently at the waiting for samples phase. I want to prep and I thought I remembered you saying that you had a standard contract that you gave to your suppliers. Something about 5% discount for every 7 days late and some other stuff. Is that shared somewhere on the blog? I can’t seem to find it. Amazing – great work on getting this far in the process, congrats to you & keep on going! We actually shared a contract example in our previous case study, the Collaborative Launch. You can see an example contract in this article. I enjoy following thru the case study, you guys made it very straight forward and yet overflow with information and knowledge. My question is about the UPC and FNSKU, in this session, Greg talks about using SpeedyBarcode UPC for create a listing to get the FNSKU for the new product, then go back into brand registry to update that UPC code into some model number once the product is live. However, due to the new Amazon regulation, brand registry requires trademark, Greg also mentioned in video 16 that Junge Snug won’t be able to utilize brand registry. If that’s the case, then how to update the UPC code without brand registry? Since trademark takes months to apply and we want to launch now? There have been some changes to brand registry over the past few months as you have mentioned. It re-opened in May and as you have said now requires a trademark. Our strategy is to go ahead with the product anyway, as getting a trademark has associated costs and takes time. It would be best to start selling the product to see how it progresses, then move ahead with the trademark process if the product succeeds. For peace of mind, you can buy a UPC from GS1 ahead of time, so that when you go through the brand registry process you won’t have any issues. Thanks for the insights and your experience, I think that you bring up a very valid point. This is good to know to share with future case studies! Thanks for your timely reply Gen. So just an update. it looks like the supplier can do the packaging but I will have to reduce the number of pcs Im selling in one set. So not a total loss. I do have one question though that I would really appreciate an answer. So my supplier has asked me if I need printing on the carton as well. There will be 10 sets in a carton. Not sure how many packets/sets of jungle stix are in a carton when greg orders them. Does greg print anything on the carton?? Very helpful information on packaging and design. Even all the legal aspects are discussed in details. Thanks for the comment, glad that you are finding these helpful! I have a question about the FNSKU. So my products are all ready to go, but I am getting mixed messages from Amazon personnel that I have to include the product description along with the FNSKU. The reason I inquired was I had not finalized my Product Name, and wanted to be able to go back update the name with key keywords (and send my FNSKU to my manufacturer to not slow down the process) and they said if I changed the Product Name that I would have to reprint all new labels on my product. So according to your info, you do not have to have the description under the FNSKU. When I asked them if only the FNSKU would do, they said it had to include the description as well for FBA requirements. Some of my products will be in poly bags and another in a box. My first products so I am making sure I don’t do double work.. Please help! Greg lost me at 18:20, how and with who do you register your brand is it with Amazon? BTW great session! First of all, this post explains the FNSKU process very well – thank you! Glad that this helped you understand the FNSKU! You are right that the package is larger, and therefore shipping costs may be higher with cardboard packaging. However, you would have to compare that to any increase in pricing as a result of high end packaging. Can you offset the increased shipping costs with a higher retail price point? I have no idea of your product or niche, but I would guess that you could….hope this helps! I purchased several things on Amazon. It seems Amazon put purchased items inside Amazon box, and ship it out. For your baby towel, even though you designed your package, Amazon may still put your item inside its box when shipping. then What is the point to design your pretty looking package? Good point, Amazon may include our product with other products. However, they would still keep it in the cardboard box, which is important for a customer to understand the premium nature of the product. Thanks Mike 🙂 Happy to help! in this case, you ordered 500 pcs of towels. the system will generate 500 FNSKU CODES? It will just generate 1 if you follow our steps but you can use this same FNSKU barcode for all your units of the same product. So I will just print that 1 FNSKU barcode on all my units of the same color. So finally, which manufacturer from the three ones did you choose? And what is final price for the unit? It would be interesting to see how your negotiations price process lasted with each supplier. Thank you very much for sharing information with us. We ended up going with factory 2, I forget the exact price per unit but we’ll be sure to share it in a future webinar where we share all our numbers. I think we ended up getting it for about .3 or .4 cheaper so was able to get the price down a little bit. We are currently not accepting applications ahead of the launch of a new Brand Registry experience on Amazon. In early May, please revisit this page to enroll in the new Brand Registry. It seems that Amazon is opening a new brand registry, and applications will open in early May. We will certainly share more information as soon as we have it. Is the FNSKU # the same for the same product? Or does each product have a unique FNSKU#? For example, I have 4 hooded baby towels in inventory. Do all 4 hooded baby towels get the same FNSKU #? I’ve worked with FBA before, but I never noticed if the FNKSU # were different or all the same for the same product. I no longer have inventory in FBA so I can no longer check. Thanks! Each ASIN has its own FNSKU. So each different color would get its own FNSKU, but all the same towels in the same color would share the same FNSKU. Great write up, thanks for doing this! Thanks for the suggestions–those are great! Glad that this is helping! I did amazon FBA myself, i only lasted 4 months before i was banned in the USA website of Amazon, and on the UK website of AMAZON i was banned within a month, one small complaint from a customer can put your entire business in jeopardy and nobody can help you out of it. I was making a profit of $400 a day on amazon, its no joke, but its not a “business”, i feel safer playing the slots in vegas than selling on amazon. When i got banned from Amazon USA website, i was able to get my inventory back and liquidate it off on ebay, it took me almost a year to liquidate it, but thankfully i got out of that without much loss, and even though i got my account reinstated back, i never went back to selling on amazon, it doesnt let me sleep at night knowing i can be banned at anytime. so to summarize, Build your own business, sure it may take 5 or 6 years of hard work to make it fly, but in the end at least its something you worked for, when your selling on Amazon, your only helping amazon, and you dont build any equity for yourself besides the cash your business generates, its pretty much like a job, you never know when they will let you go for whatever reason. I would also like to see you present an episode or a webinar of all the risks of selling on amazon. A lot of people i know get their account suspended due to “inauthentic” complaint even though they say “it was my own brand,” they don’t realize that even if it is their own brand, the customer might complaint the item is “inauthentic” if it turns out to be a defective unit or something of that sort, this is very prevalent in the electronics, and toys categories. Thanks for sharing your experience. Can you share more details on what the customer complaint was, or why Amazon took measures to ban the accounts? You are right, there are certainly risks to any business, and selling on Amazon certainly has risks. However, whether it is a full time income or side income is likely completely dependent on the individual’s situation. Thanks for your input, would love to hear more about your experience! Very sorry to hear about your experience. I guess we could reduce the risk by avoiding selling in categories like electronics, clothing, toys, etc. Great point. “hijacking” a listing, as Amazon sellers refer to it, is actually selling a product on the same listing. So if there were two listings on Jungle Stix for example, and we had to compete for the Buy Box all of a sudden for our own private label product….that would be an example of our listing getting hijacked. However, if there were a very similar competitive product that’s private labeled and also bamboo marshmallow sticks, that’s just the nature of competition as an Amazon seller. I think you are getting at the most important concept that Greg has been sharing in the product research webinars, which is to find those products that don’t have a lot of demand at the moment. The opportunity may not last forever, but there is a significant first-mover’s advantage when selling on Amazon. Hope that this helps!